I have gone through the process of telephone interviews, first and second in person interviews for managerial positions for CVS. The end result has been we have someone better suited for this position. I have over 28 years as a pharmacy manager and over 40 years in retail. The only thing I can figure is they are looking for younger and cheaper employees. My qualifications for the pharmacy technician training program ( i.e., no pharmacy experience required) was/is a B.S. degree in Biology, a pharmacy technician vocational education certificate, and national certification with the Pharmacy Technician Certification Board (still current). I had two interviews with CVS pharmacy managers and was not offered employment regardless of my flexible availability. I then completed the CVS customer service course which was a joint project between CVS and the Massachusetts Rehabilitation Commission and still was not offered any type of employment. I finally gave up trying to find a pharmacy tech job with CVS and the other retail chains and was eventually hired by Pearson Vue as a test administrator in a secure, computer-based testing facility. There is no doubt in my mind that my lack of success in being hired as a pharmacy technician trainee is a result of age discrimination. 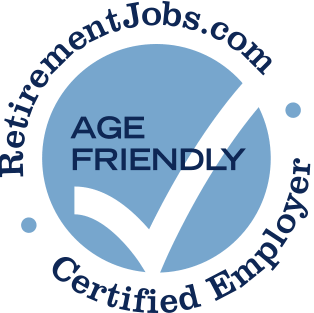 I am currently employed in a city government position assisting seniors in searching and applying for unsubsidized employment as I am well qualified for that type of position too. Nationwide age discrimination of pharmacists over 50. I worked at CVS as a pharmacy technician. Both the pharmacist and lead technician would frequently berate me in front of customers and staff. This was not done to my younger coworkers. It all depends on the management of each store & those above the manager. The older the manager the more common sense, level headedness and reasonableness they have. Generally, those qualities decrease commensurately as their age decreases (starting with age 50 & under). They do not know how to treat an older worker & sometimes will try things to get rid of them or not promote them. At present I have a very good manager (age 59). He hired me 13 years ago, & then I got shifted around to other stores & under different managerial experiences, finally to return to his store. Even he has had to put up over past years with those above him who were younger, rude, impractical, & unreasonable. I have somewhat concluded that maybe retail management is not that great. I believe it also reflects the times we are in now as a nation, too, & the way the government regulates businesses. Workload requires managers to work far above 45 hours scheduled. Fired an older well-paid manager without hearing, six months after an ethics line phone call raised an issue that was apparently not a major issue for six months.